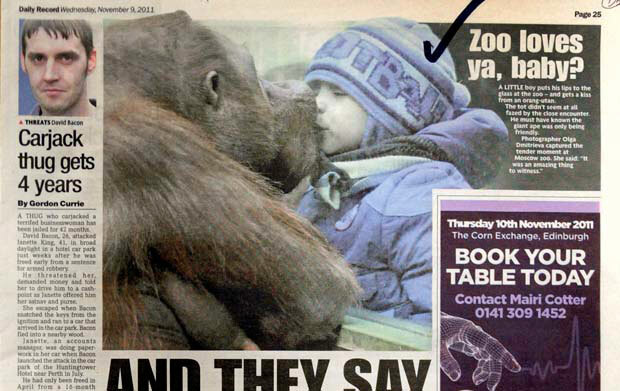 Zoo loves ya, baby! The Daily Record. 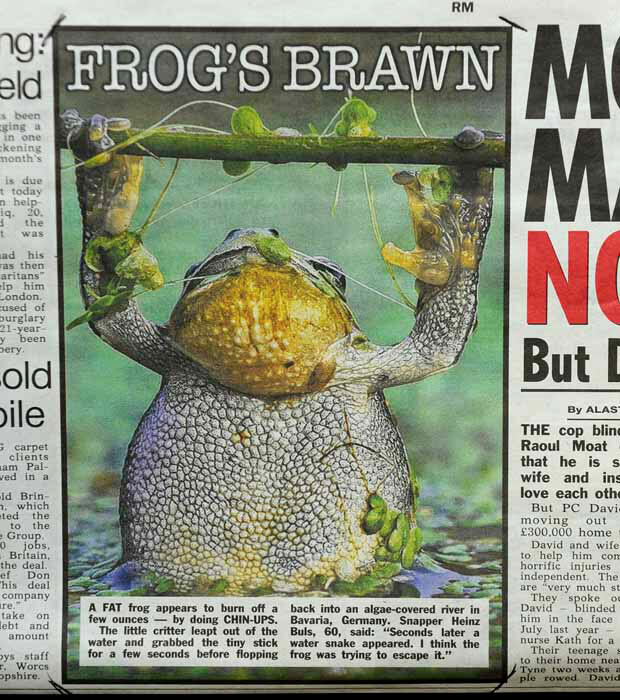 A fat frog doing chin-ups… The Sun. 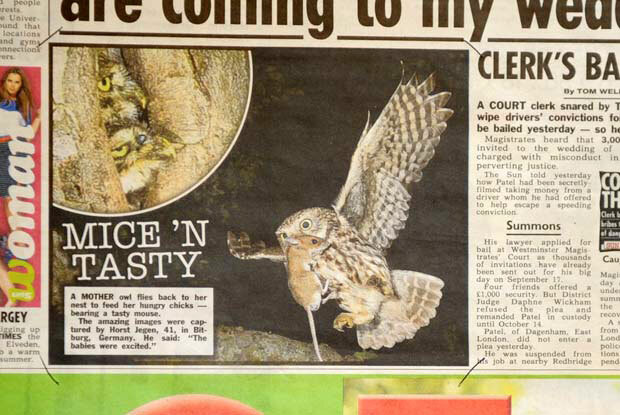 A mother owl with taaasty mice… The Sun. I am ready for my close-up now!! The Daily Mail. Starry sights (Astro photos of amateur photographer from Ukraine). The Times. 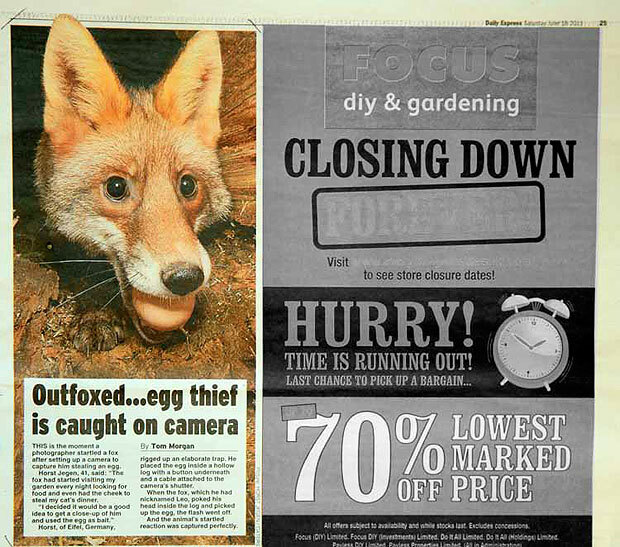 Outfoxed…egg thief is caught on camera! 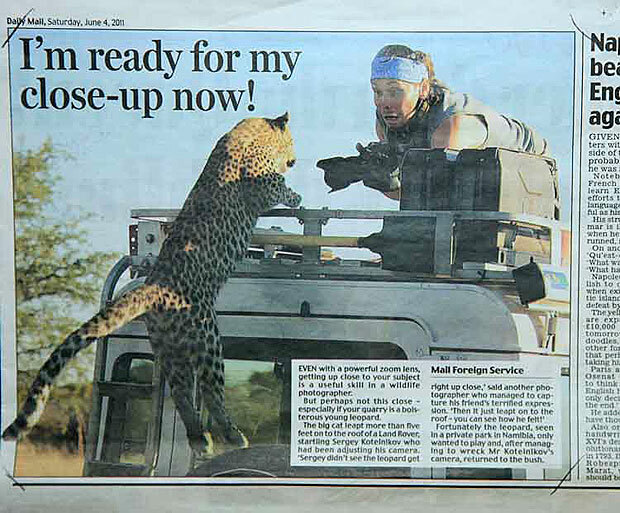 The Daily Express. 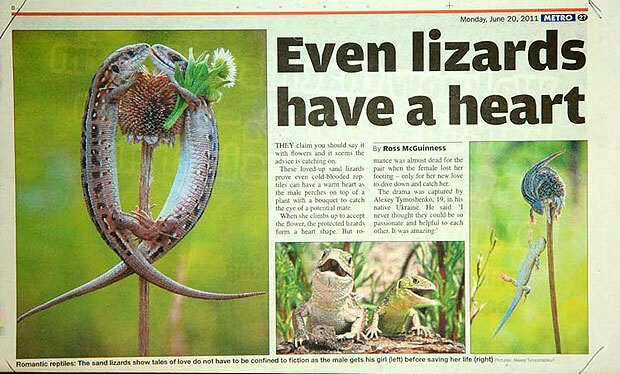 Even lizards have heart! The Metro. 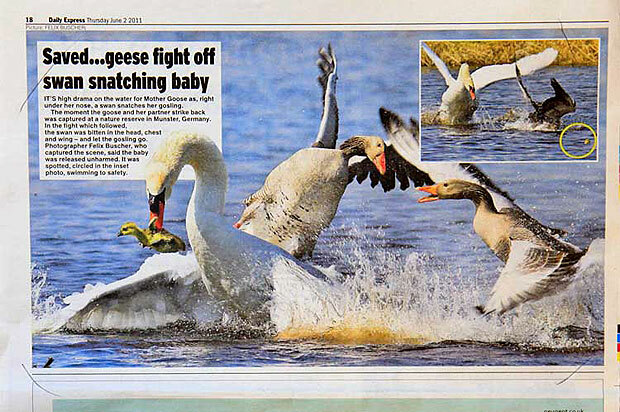 Saved…geese fight off swan snatching baby! The Daily Express.. Huge Rhino’s friendship with a little girl! The Daily Express. King of the bundle! 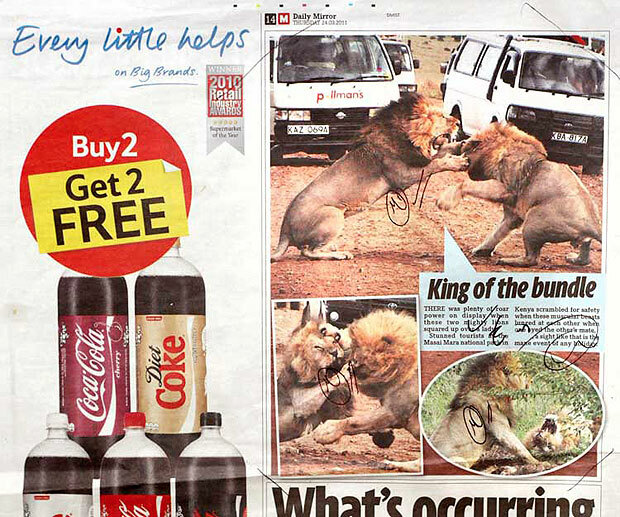 The Daily Mirror. Bird-brained! Pigeon in Poland. The Metro. 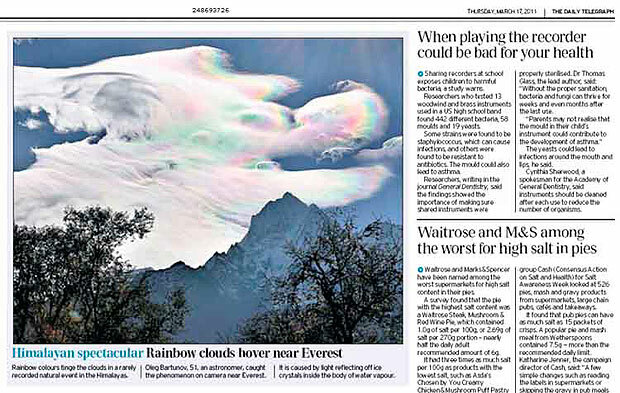 Rainbow clouds hover near Everest. 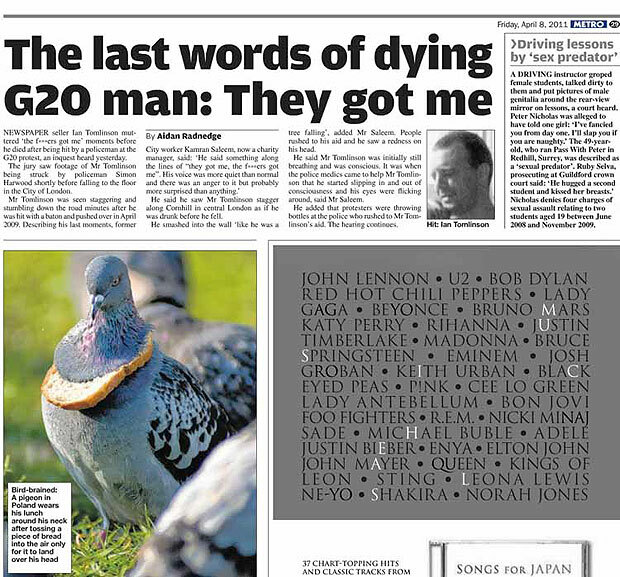 The Daily Telegraph. Gympanzee. 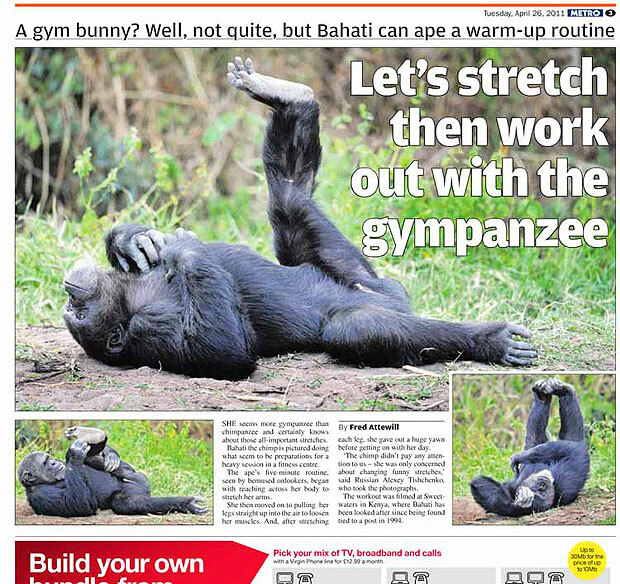 Let’s stretch then work out!. 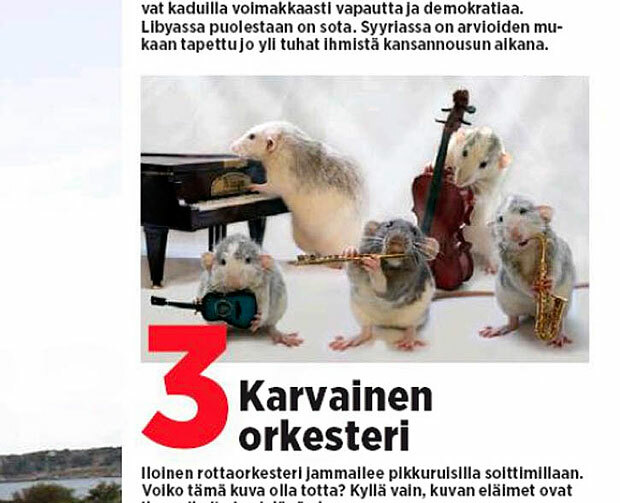 The Metro. 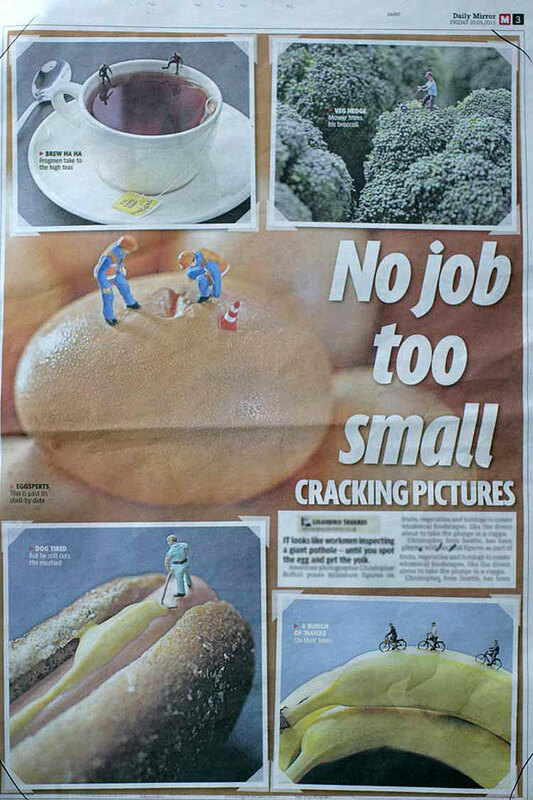 No job too small! The Daily Mirror. 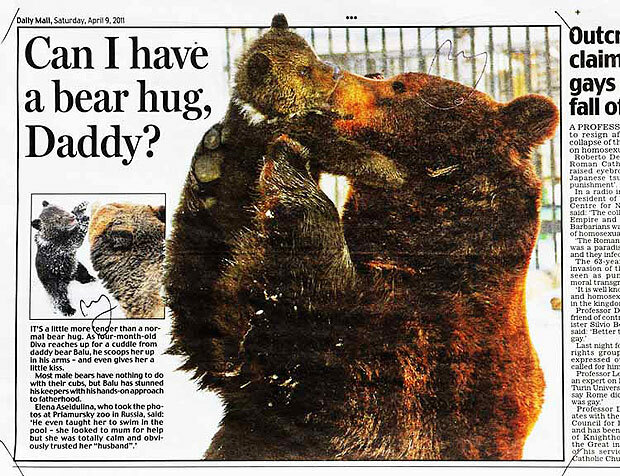 Can I have a bear hug, Daddy? Loving bears in Khabarovsk Zoo. 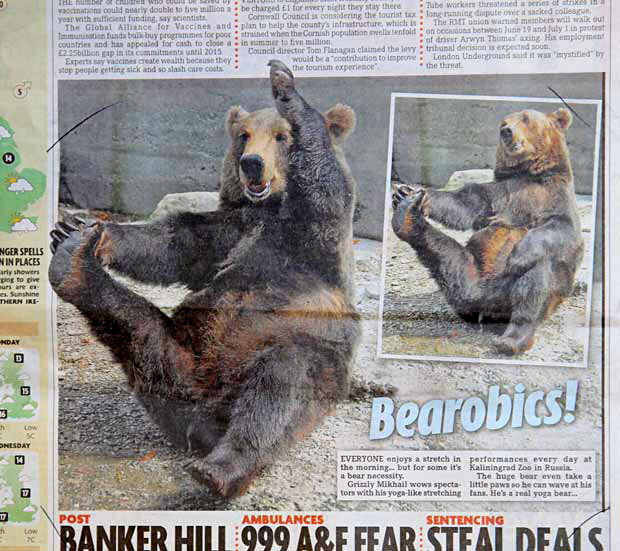 The Daily Mail.